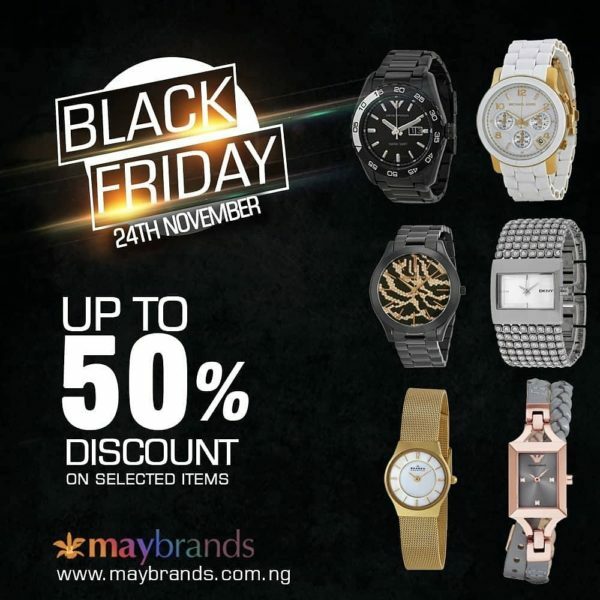 Grab up to 50% discount on wide varieties of watches, accessories, bags, bracelet, wallet and others. Expect more products, more varieties and unforgettable experiences. Date: Friday, November 24th, 2017. Offline Venue: At Maybrands Nigeria outlet nationwide.